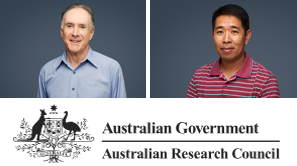 OFFshore ITRH Chief Investigators Mark Randolph and Yinghui Tian were both recently awarded ARC Discovery Grants for projects within the field of Geotechnical Engineering. The ARC Discovery Grant scheme encourages high-quality research and training by individuals and teams. It aims to enhance international collaboration in research while expanding Australia’s knowledge base and research capability. Over the next three years, Mark Randolph and a team of UWA research members will be looking at solutions for rapid penetration into sand for offshore energy installations. The aim of the project is to develop a fundamental understanding of the response of saturated sand in seabeds during rapid penetration by offshore site investigation tools and during foundation construction. Innovative physical and advanced numerical modelling techniques will be used to quantify the significant increase in sand resistance caused by rapid penetration, enabling reliable design and reducing the risk of material failure associated with the high impact forces. Expected outcomes of the project include a conceptual framework and scientific-based design tool to predict the geotechnical performance of offshore installations. The research will provide the necessary scientific advances to install, moor and service offshore wind and wave energy devices more economically and efficiently. As lead investigator, Yinghui Tian’s ARC Discovery grant will focus on investigating the process of lifting objects off the seabed. Understanding this process will provide the scientific basis for a variety of offshore applications such as oil and gas decommissioning, marine salvage, and securing foundations under extreme storms. The project expects to advance the understanding of soil-fluid-structure interactions by using innovative high-speed photography observations and advanced numerical analyses. Expected outcomes will include a numerical tool to predict the soil breakout process which is verified against a high quality experimental database. This will allow Australia’s engineers to predict lift procedures more accurately which will contribute to safer operations in Australian waters and promote the economic harnessing of ocean resources. Congratulations go out to Mark and Tian. 2019 will no doubt be a busy year!